The Handbook of Transportation demonstrates models and methods for predicting travel and freight demand, planning future transportation networks, and developing traffic control systems. Readers will learn how to use various engineering concepts and approaches to make future transportation safer, more efficient, and more sustainable. 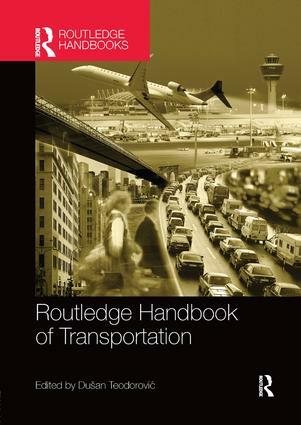 Edited by Dušan Teodorović and featuring 29 chapters from more than 50 leading global experts, with more than 200 illustrations, the Routledge Handbook of Transportation is designed as an invaluable resource for professionals and students in transportation planning and engineering.